Today’s “Card of the Day” features some card BUT IT’S CHRONO’S BIRTHDAY! HAPPY BIRTHDAY!! 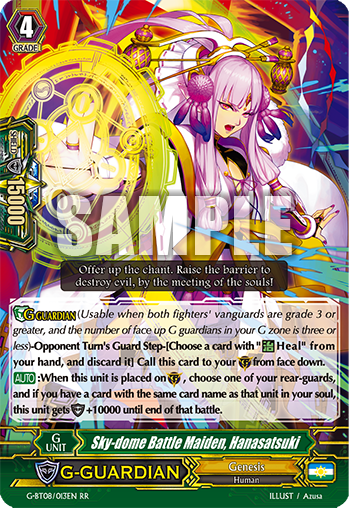 [AUTO]:When this unit is placed on (GC), choose one of your rear-guards, and if you have a card with the same card name as that unit in your soul, this unit gets [Shield] +10000 until end of that battle.